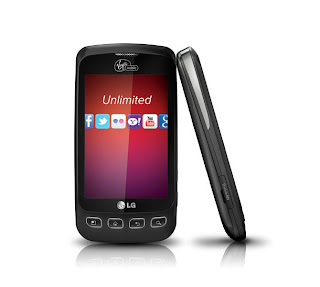 Flip Out Mama: Virgin Mobile LG Optimus V Review and Giveaway!!! I'm gonna be perfectly honest with you guys: I might be a little biased with this post. I am a little partial to prepaid cell phone providers.. I do not like the "big" cell phone companies, I hate contracts, ugh!! 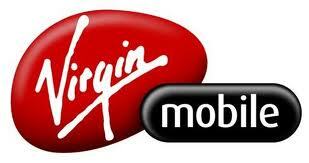 So, when we got the chance to do a review for Virgin Mobile, I was like yayyyy! 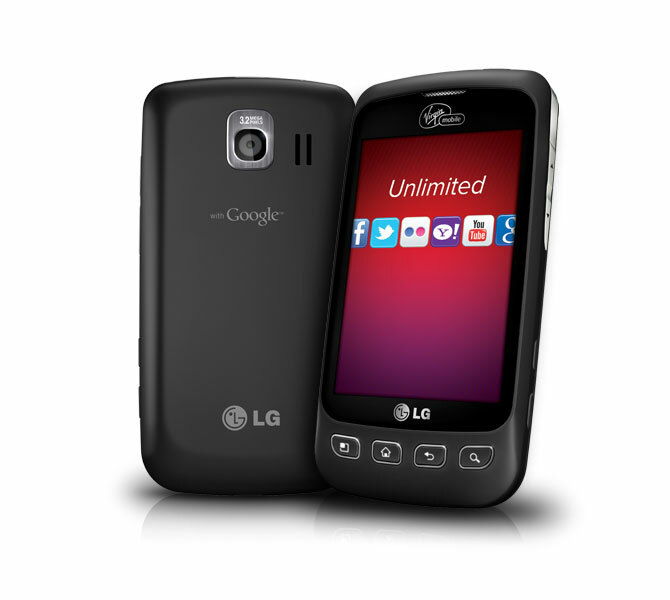 We received the LG Optimus V with one free month of service to review! The first thing I noticed was what a beautiful phone this is! Check it out! Now, this is an Android phone, which means it is super easy to use. It is 3G and Wi-Fi capable. One of my favorite things about this phone is the screen. It isn't too big, but it's a good size at 3.2". It is a touchscreen, but has a QWERTY touchscreen and you can text using Swype text entry. You can also use the Android Market to download lots of cool apps! There are so many cool things about this phone. I love that you can customize it with apps. I customized mine with an awesome live wallpaper. I love it! The internet speed is pretty awesome, I didn't expect it to be so great, but it is really fast! Plus, the camera is great! I was also really impressed with Virgin Mobile's coverage in my area! The "big" companies never have good coverage in my area. One big company that I had, I was actually roaming IN MY HOUSE! Love it! Not with Virgin Mobile though, thank goodness! And, come on, you can't beat a phone that is only $35 a month! Yay!!! Comment on this post and tell me why you would want to win this phone! Easy, peasy!! This contest will end on 9/30/2011 at approx 11:59 pm est. Winner will be chosen via random.org and will have 48 hours to respond to email notification or an alternate winner will be chosen. I received one month of free phone service in order to conduct this review. All opinions are my own and no monetary compensation was received. I would love to win because I need a cell phone for so many reasons, for my job, for when I walk my dogs and for emergencies. Very nice giveaway, I've heard good things about the Optimus V and would really love to have one. $35 a month sounds very reasonable for service. Thank you for this giveaway. Good luck to all! I agree with you, i hate contracts. I want to win this phone because I'm in need of a new phone without all the outrageous prices. This phone is awesome! Ive seen reviews of this phone and I loved all of thim including yours. Im really need a new phone. And i wanted to try android. I hope I win! But congrats to whoever wins if I dont! Waow! !i have been in back of this phone like forevah! !.but i have 3 kids that i needed to prepare for school so i havent been able to buy it..:( but i love the phone i always stop by radio shack to see it....i use to have a contract provider but wasent gettin what i was payin for...unlimited meqns unlimited,, but my internet speed would be reduced every month!! I love how it feels n i have not read not one bad review so it must be a wonderful phone.. and i would love a chance to have it. 35 dollars a month? I want this phone cuz I feel like I am getting raped with my current plan when you showed me that number. Dang....if I got son and I both one of these phones, we could have almost an week's grocery bill paid with what we'd save. I'd love to win this because my current cell phone contract is up very soon and I'm not sure I want to "marry" them again for another two years! I would love to win this phone because I haven't had a cell phone in two years!! !